If the above photo rings a bell, then you would have probably seen Shah Rukh’s Swades. 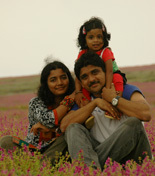 This movie was shot (at least many parts of it) in a remote village in Maharashtra (around 100 kms from Pune) called Wai. The central section in the above photo is where the final “Kushti” scene was shot. 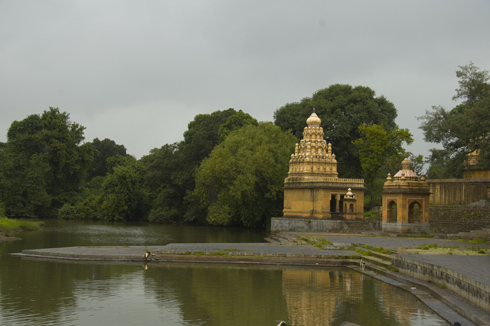 This photo has been taken from the spot where the Ramayana play was portrayed in the movie. Wai is a beautiful village (especially in the monsoon season) and is worth a half-day visit if you are in Pune or Mumbai. You see more photos from my visit on my Pune Blog. Thanks for the info I’m coming Mumbai and hopefully visit this amazing place. And by the way thank you so much for the great shots and info. What’s the village.??? i think it will be in UP….Charanpur bt this is in MAHARASHTRA…..So Beautiful….!! !